If you’re looking for the ideal professionals to decorate your home with Tulsa holiday lights you’ve come to the right place. Let us take over putting up lights for you this Christmas and show you how we can create a perfect holiday atmosphere. If you’re looking to impress your neighbors with your light display Green Leaf is the way to go. We have the equipment, the team and the professionalism to get everything done in a timely manner so that you don’t have to. Relaxed this holiday season and don’t worry about going down to the basement to find that box of old tangled lights. Call us today at 918-640-6405. Here in Tulsa Green Leaf is known for our customer service. Anything that we do we do to the best of our ability and we over exceed expectations of all of our clients. When it’s not the holiday season we provide quality lawn care service and landscaping to homeowners all across the city. Our customer service is one of our biggest priorities here at the company. Whether were hanging up holiday Tulsa lights or taking care of your lawn we make sure that we are dedicated to every single client. You can trust that Green Leaf will over deliver every time. The biggest advantage of having Green Leaf hang up your Tulsa holiday lights this year is that it gives you so much more time. We understand that when the holidays come around every one has a long list of things to get done and they are checking it twice. Our goal is to make sure that we hang up the lights for you and do all the work so that you don’t have to worry about it. You have to purchase gifts, find a tree and book the hotel for your in-laws who are flying in the week. Let Green Leaf handle all the lighting and creating a wonderful holiday atmosphere. Not only are we serving homes but we are also serving businesses. We are looking for people who are in charge of the holiday party for their company this year. We are proud to bring you the experience lighting crews who provide free estimates and light up your company function to make it extraordinary. We offer the suggestions that are sure to make your holiday event a smashing success. Anything that we do for you we do it right and we make sure that it’s going to be incredible. If you have any additional questions for Green Leaf and any questions about our light installation service please give us a call today. We are excited that the holidays are coming and we want you to have a stress-free Christmas. Contact us today to get started in hanging up your holiday lights that will impress your neighbors this year. 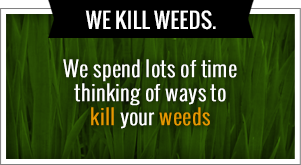 Call us today or visit online. We are excited to announce that the holidays are right around the corner. Christmas is the most wonderful time of the year but for most people it can be stressful and incredibly busy. You have to find the tree, purchase gifts and hang up all those lights in your home. Why not let Green Leaf take some of the load off by providing you with the best Tulsa holiday light installation in the city? We provide you with a free home estimate and we take care of all the measuring. Call us today at 918-640-6405. Our ultimate goal is that you don’t have to do a thing. Our lighting technicians arrive on-site at your home, take measurements and give you a free estimate on what it’s going to cost. We also talk with the homeowners to make sure we understand their holiday vision exactly. The ultimate goal is to provide you with the perfect holiday atmosphere right there in your neighborhood. Hard you looking to impress your neighbors this year? Green Leaf can help you do it. Before you know it you will have a beautiful home filled with sparkling Christmas lights and your very own Winter Wonderland. 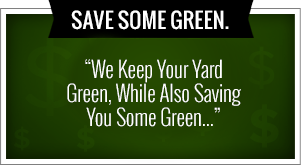 Green Leaf is known for our customer service especially during the warm seasons when we do landscaping and Tulsa lawn care. But our customer service does not let up when the cold season sets in. We are more dedicated to our customers and we try to overdeliver at every turn. Our ultimate goal is to provide the best holiday lighting for homeowners, business owners and property managers who are looking to bring the holiday spirit to their front door. We make sure that everything is working. Green Leaf will install and test the lights to make sure they are working properly. Our ultimate goal is that every customer is satisfied with our services. We have the equipment and we have partnered with the lighting professional technicians to ensure that you get exactly what you want. And if you’re planning a holiday party we can provide lighting for you as well. Whatever it is that you’re doing this Christmas we want to be a part of taking the stress and the mess away. So if you’re interested in having Green Leaf hang up your Tulsa holiday lights this year please give us a call. Not only can we provide you with great landscaping but we will also give you an ideal house that screams holiday spirit. You’ll have the best of the best and the most dedicated team of people working for you. Call us today so that we can get a head start on the holidays and over deliver an incredible Christmas just like Santa.